Did you know that mice become more active in fall and winter…WHY…would you ask? Just like everyone, as the weather gets cooler, they want to escape the cold weather and move in a warm, cozy home. Forget dangerous traps and poisonous gases, I’ll share some essential oil recipes that will drive mice away from your home – and you won’t even have to get your hands dirty! Is it just me, or was the 20th century full of literature and TV shows starring heroic mice? As a child, I remember going out of my way to get books on warriors and brave horses but somehow, books about mice always fell on my lap. The number of popular kid’s mice cartoons in the 80s and the 90s was only rivaled by duck based TV shows aired on Disney channel. In retrospect, I think it’s amazing how cartoons manage to bring out the cuteness is what we all know to be plague carrying, flea infested harbingers of death. Sorry, but the disgusting description applies to all rodents. Today, just the mere sight of a mangy rat, mouse or even roach is enough to drive me up a table or chair faster than you can say rat turd. Seriously, even a suspicious, malicious looking shadow gets me shrieking in fits of uncontrollable jerks and spasms – like an epileptic break dancer (I actually know one of those, he’s really good). Yes, Murophobia (fear of mice or rats) is real Oliviarites and I am sure you can relate. Mice are just so gross and creepy. Sure, I’m like a 100 times bigger but still – eeeeeewwwww, hell no! Here’s where I’m coming from. You see, in the 1300s, rodents (rats and mice), killed a third of Europe’s population in a pandemic famously known as the Black Death. The disease spread across the continent and killed between seventy -five and two hundred million people. The situation in the cities of Europe was so bad that city dwellers literally had to walk around sniffing perfumes to counter the stench of the dying and the dead! Apart from World Wars and horrible pandemics, rats and mice rank pretty highly on the list of things that could have wiped the global slate clean of humans. Sure, there’s some debate as to whether the rats and mice were responsible for the bubonic plague. Personally, I’m not sticking around to find out. Whether these tiny and gross rodents were ‘guilty’ or not, the mere fact that they are linked to global genocide is enough for me to avoid them like… well, the plague! What’s more, they carry several pests and diseases – and that’s not up for debate. So if you’ve got a rodent problem, you’ve come to the right place. Call me Olivia the Exterminator – or the Olive Terminator, coz I’ll show you the best and safest ways (for you, not the mice – they suffer) to get rid of all harbingers of death in your home, yard, and property! Mice are petite, hair covered mammals with huge eyes, large ears, pointed noses and long tails. They are arguably the smallest of all mammals on earth and are found in all inhabitable continents. Mice have bad eyesight and are primarily nocturnal. However, they make up for their bad eyesight with their other enhanced senses. Experts believe they are among the most successful mammals. This is mainly due to their resilience to being preyed on by cats, dogs, hawks and other animals depending on the habitat. To survive being hunted and to avoid extinction, mice have adapted to finding shelter closer to their food sources. This helps them to avoid traveling over long distances and leaving themselves open to attack. The reason mice control is difficult is because of their reproductive cycle. For such a disgusting animal, its reproduction cycle is quite fascinating. Female mice can have a heat cycle that lasts for 7 days. A whiff of male urine and the females are aroused in about 3 days. In addition to this, male mice sing songs (ultrasonic ‘melodies’) as part of their mating ritual. Scientists say the songs play the same role (to woo the female) as that of male birds. Once reproduction takes place female mice form a plug in their reproductive tract and prevent further penetration for at least a day (a lady got to rest I guess. Haha). Female mice can give birth to multiple pups; anywhere between 4 and 16. The number of pups a female can give birth to depends on the number of times it has given birth and its age. If done back-to-back, then the female can have even ten litters in a year. Now you know why experts say when you spot one mouse in your house there have to be others close by. The pups grow fur after 3 days and have their eyesight (though poor), in about 12 days. After 6 weeks, the pups are reproductively mature – this is about 40 days old. Though there are some mice types that are mature by their 28th day. Is There A Difference Between Mice And Rats? Yes, even though they are both rodents and share some features, there are some differences. But before we get into that, note that the terms mice and rats are not scientific. As such there are lots of different species people label mice and rats. However, for the sake of this article, I will refer to the brown rat and the house mouse. Weight and Size – adult mice are smaller in size in comparison to rats. 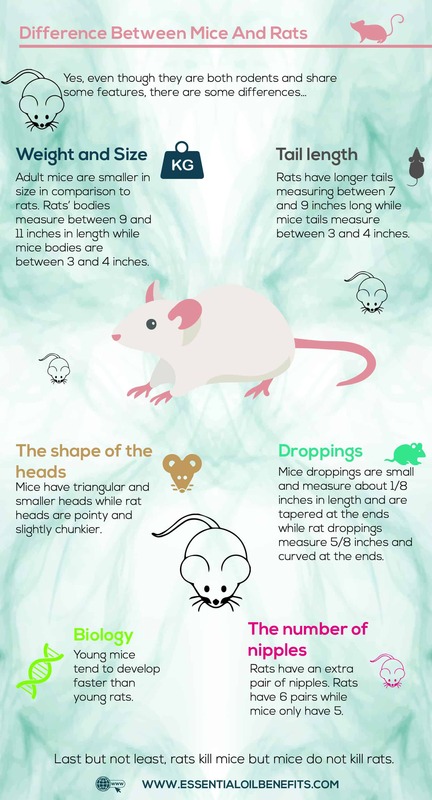 Rats’ bodies measure between 9 and 11 inches in length while mice bodies are between 3 and 4 inches. Tail length – rats have longer tails measuring between 7 and 9 inches long while mice tails measure between 3 and 4 inches. To protect your home from mice infestation (more on how to know you have an infestation later on), you first need to understand the different types of mice there are. Disclaimer: there are many mice species, but I zeroed in on 4 that you are most likely to encounter. As its name implies, this is a type of mouse that is found in homes. They have improved senses which makes it easy for them to adapt and live in varied local environments. Some experts have nicknamed it ‘little thief’ as it is highly flexible and can squeeze through tiny cracks as small as ¼ inches. This mouse can reproduce between 7 and 10 times a year and gives birth to between 5 and 7 pups. It is dusty gray and color blind. It’s also referred to as ‘field mouse’. It feeds on seeds, grains, and fruits ‘terrorizing’ farmers by eating their harvest in silos and storage bins. The deer mouse carries the Hantavirus (this virus caused many deaths in the USA). The deer mouse has a gestation period of 20 days and can reproduce between 2 and 4 times a year. The mouse is reddish brown and has a bi-colored tail. Also, its ears are furry and its big eyes seem like they are protruding from its skull. This mouse is predominantly found in the rural areas and loves invading private property. It has brown fur on its top side and is covered in white fur on its underside. This mouse is associated with fires as it chews through electric wiring. It also consumes and spoils food. Unlike other mice, this mouse has a breeding season that runs from March through October. It has a 25-day gestation period. The difference between this mouse and the field mouse is the roman nose it features. It also has a sandy brown fur which darkens towards the spine. Its natural habitat includes grasslands, urban gardens, deciduous woodlands, arable land and forest land. Though they rarely find their way to residential areas, when they do, they have a reputation for eating grains and all kinds of crops it can get its paws on. Though mice are nocturnal (meaning they only come out at night to play and feed), there are signs that can alert you to their presence in your home. Droppings – when mice feed on your food, they will poop (at times even in the food they are eating). Their droppings look like pellets, are 1/8 inches long and are pointed at the ends. Footprints – if a mouse walks on dust, you will find its footprints in the morning. They are usually tiny and no less inch in length. Holes in boxes and bags – mice chew through bags and plastic as they try and get to the food. If you notice gnawing on your plastic containers or bags, it could be a sign you have a mice problem. Holes in the walls – you notice a hole in your molding or wall. The hole doesn’t have to be large. Mice can fit through tiny cracks and holes. They can do this because they are tiny and they do not have collarbones (they only need to get the head through). Odor – this will only be noticeable if your infestation is significant and large. You will notice a musky odor or even smell their urine. Nests – mice love making nests using soft material like newspaper and insulation. If you find a pile of these in a hidden corner, take it as a sign. Hear squeaking and scratching – you can hear the squeaking and scratching in the walls at night. I’ve got more bad news. 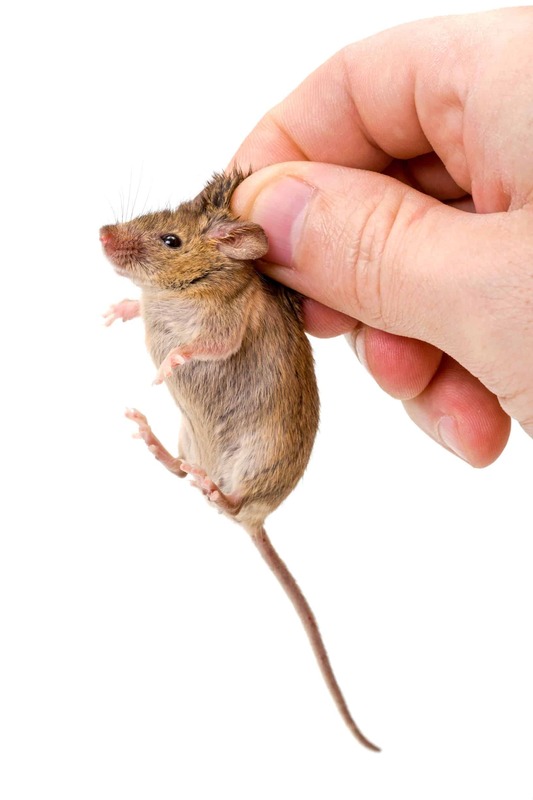 Mice are not only gross and creepy; they also transmit diseases to other animals and humans through biting, droppings, lice, mites, ticks, and fleas. Some of the common diseases they transmit and the reason you should get rid of them soon (in addition to them eating your food and damaging your home) include Hantavirus, Salmonella, Plague, Rat Fever Bite and Lymphocytic Choriomeningitis. The Hantavirus is found in mice feces and urine. While it does not make the mice sick, it causes sickness in humans when they come in contact with contaminated dust from mice droppings and nest. However, the disease is not transmissible among humans. Cases of Hantavirus are often fatal. This is a foodborne illness caused by a bacterium – salmonella. The bacteria are transmitted by mice and other rodents when they contaminate working surfaces (where you prepare food) or food. The mice carry the bacteria in their digestive tract. Usually, the elderly and kids are at a higher risk of contracting the disease. There are different types of plagues which are classified depending on the body system the plague has affected (the immune system, the lungs or the blood system). The types of plague include Pneumonic, Bubonic, and Septicemic. All these plagues are caused by the same bacterium – Yersinia pestis. The symptoms that manifest depend on the type of plague. Given the seriousness of the disease, antibiotics need to be administered fast to avoid possible death. This is a disease that is caused by bacteria that is carried by rodents. 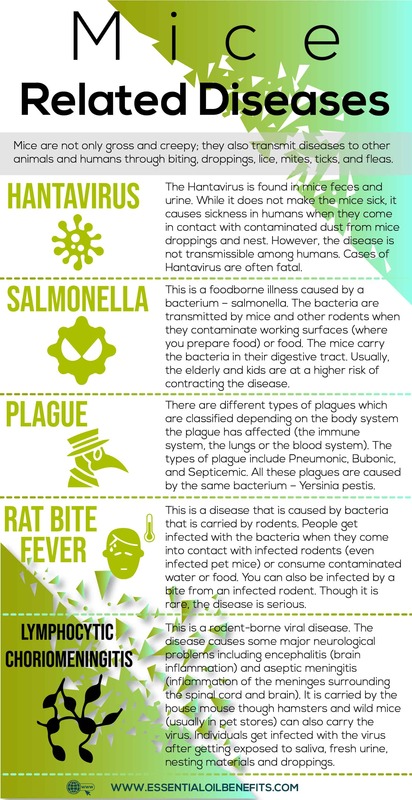 People get infected with the bacteria when they come into contact with infected rodents (even infected pet mice) or consume contaminated water or food. You can also be infected by a bite from an infected rodent. Though it is rare, the disease is serious. This is a rodent-borne viral disease. The disease causes some major neurological problems including encephalitis (brain inflammation) and aseptic meningitis (inflammation of the meninges surrounding the spinal cord and brain). It is carried by the house mouse though hamsters and wild mice (usually in pet stores) can also carry the virus. Individuals get infected with the virus after getting exposed to saliva, fresh urine, nesting materials and droppings. Essential oils are everywhere today. They are mainly used to cure illnesses and conditions and to make homes smell better. However, essential oils can be very effective against mice. It turns out that mice hate the smell of most essential oils; can’t stand it. Below is a list of the essential oils to use to help you solve the mice infestation problem once and for all. Using peppermint may seem like a subtle way of dealing with mice. But when you try it, it is very effective when placed in the right areas. We all love peppermint for its strong antiseptic, antibacterial, and antifungal properties – not to forget the strong scent. While the scent is ‘sweet’ to us it can be too much for an animal with a heightened sense of smell such as mice. Cedarwood essential oil has lots of health benefits courtesy of its antifungal, antiseptic, antibacterial, antispasmodic and antiseborrheic properties. In addition to this, it has insecticidal properties that extend to repelling mice as well. The essential oil of Lemon has numerous health benefits including detoxification, soothing a sore throat, disinfecting and many more. But in addition to its antioxidant properties, it has a potent smell that mice cannot stand. Note that it does not harm the mice per se, it just repels them which can be invaluable in the long run. Mice do not like the scent of cloves either. Though the scent can be used to help ease respiratory problems, such as cough, colds, sinusitis and asthma, mice in your house will loathe it. Like with peppermint, you can leave cotton balls dipped in this oil to deter the mice from your home. Virtually any essential oil with a strong scent will do the trick. It is said that a dog’s sense of smell is really good. As a matter of fact, we stink to high hell from a dog’s perspective. No amount of deodorant can mask our true scent and sweat. Heck, they can even smell cancer which is really impressive. While rats may not be as gifted as dogs in the olfactory department, it still beats that of humans. To you, peppermint is tangy, pleasant and refreshing. But to a mouse, it is offensive and overwhelming. Peppermint makes for a great compliment to any room and mice deterrent to your home. Start by soaking a cotton balls in 20 drops of the peppermint oil and strategically place them around the house. You will have to refresh the cotton balls every week or when you notice the smell is starting to fade. You could also mix it with water and put it in a spray bottle. Spray the solution on your carpet, furniture, and walls. You know that diatomaceous earth (DE) is highly absorbent. However, what you might not know is that most combining DE with lemon essential oil will create a potent all-natural mouse repellant. And the best thing is that it smells great. Sure you can use cotton balls instead, but DE is much more efficient in that it holds the oils and the scents for longer. As mentioned earlier, mice loathe the smell of peppermint; they just can’t stand it. This blend takes advantage of this fact. The vinegar added to the solution gives the repellant more oomph. For best results, the blend should be used on a daily basis. Mix the ingredients in a spray bottle and use the solution to clean your kitchen floor, cabinets and walls. This will protect your entire kitchen from mice. You can also dip some cotton balls in the mixture and hide them under the sink and under the cabinets. Now if you detest mice you obviously don’t find pleasure in handling them when dead either. The fact that they are immobile does not mean they’re less gross, am I right? Well, this blend and mouse repellant will ensure you do not have to handle a dead mouse. And the best part is making them is easy and humane. Since the pouches are made of essential oils and corn cobs, they are safe to be used around pet and kids. However, if you or your kids have sensitivities against some essential oils, you might want to change them up to different essential oils. Add the corn cobs into a bowl and add the Balsam Fir to the corn cobs a few drops at a time as you mix. To get the mixture to smell nice, add the rosemary oil. Cut your fabric into squares or rectangles approximately 6” x 7”. Place the corn cub mixture on the fabric. Fold the pouch and push all the corn cobs together and sew around the cob mix. The sewing does not have to be perfect. To avoid the strong scent from getting on your hands, you should wear gloves. Place the pouches next to where you suspect the mice live or gain access to your home. By now you get the idea; it’s all about scent when dealing with mice. After mixing the ingredients, spray the mixture to all areas the mice frequent. Locate all the entrance holes and spray them as well. To give the blend a lasting effect, you could use cotton balls (the scent will last for two weeks). Yes, you read the name right this repellant will not only solve your mice infestation problem, it will also mask bad smell from stinky places like diaper pails, trash cans, and the shoe closets. Pour some water into your bowl and add the baking soda. You could start with the baking soda but you might waste a lot of it that way. The idea is to form a runny paste. If it is too thick, then you should add more water. Once you have the thickness right, add a few drops of peppermint EO and mix thoroughly. Next, add the mixture into the silicone tray and allow it some time to dry (24 hours is ideal). Once they are completely dry, pop them out carefully and place them strategically all over the house. That wraps up another highly informative and engaging segment from the Olivia desk. Imagine, such simple solutions to quite the gross problem right? Now you don’t have to spend too much on painful traps or pay someone to carry out chemical warfare in your home. Thank you for great information.Natural remedies are very useful because Natural remedies are good then artificial remedies and artificial remedies may effect this generations and even coming generations also and is lymphocytic choriomenengities also may lead to migraine Neurological disorder? Will the scents bother pets? I have two dogs and worry it may be too strong. 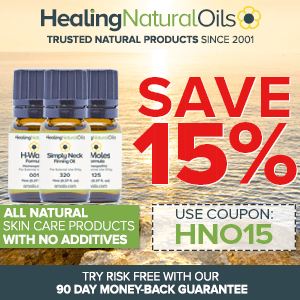 Some essential oils may be a problem including eucalyptus, tea tree, wintergreen, clove. Others such as lavender are ok. I assume that maybe menthol crystals could work too since they come naturally from various mint plants as well as some other plants. I am sure that is the case, but just note that mothballs do not actually work as the amount of naphthalene they contain is so small that rodents will just walk past without paying too much attention.